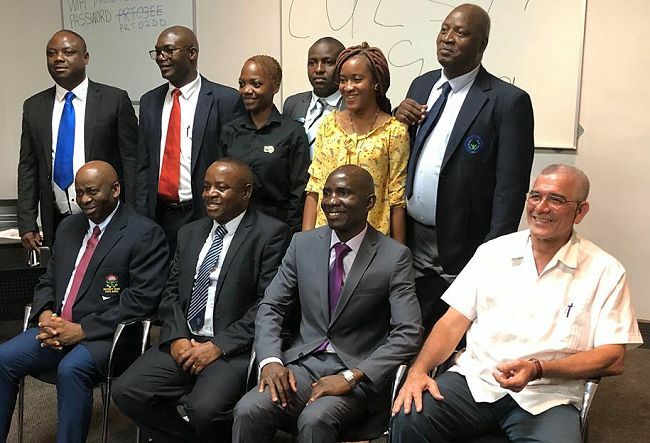 On the 9 March 2019 an unprecedented event took place where Mr. Jerry Laka became Secretary General of CUCSA (Confederation of University and Colleges Sports Association) after being elected at the Annual General Meeting which was held in Livingstone, Zambia. CUCSA is made up of the following countries: Angola, Botswana, Lesotho, Malawi, Mozambique, Namibia, South Africa, Swaziland, Zambia and Zimbabwe. His election is of significant importance to South Africa and the CUCSA member countries because Mr. Laka brings with him a wealth of experience in the field of sport administration and his achievements bear witness to that. The significance of South Africa having one of its citizens in CUCSA means that the country will play a massive role in the development of university sport in the region. This demonstrates the level of expertise we have in our country which should be shared with our neighbouring countries. Being involved in sport management for 24 years means that Mr. Laka brings with him an enormous amount of experience which is what is needed to take CUCSA to the next level. As Secretary General, his core function is to ensure that there is good administration in the association as well as effective communication between the Executive Committee and CUCSA member countries. The Secretary General’s expectation of member countries is that they support CUCSA and contribute towards its development whereas the expectation member countries have of CUCSA is that it become more organised and contributes towards the development of tertiary sports. CUCSA, as member of FASU (Federation of Africa University Sports) and FISU (International University Sports Federation) will ensure that it contributes positively to the development of sport in the global context as well as being involved in current discussions regarding the advancement of Sport.The 2019 CUCSA Games will be hosted by Lesotho and the organization thereof is going well with support from the government. A delegation from the Executive Committee will be doing a site visit during the year to ensure that everything is going according to plan. Mr. Laka has served in USSA (University Sport South Africa) different roles for almost 18 years. “For me serving at CUCSA has been very close to my heart because I believe that USSA can contribute much more in CUCSA.” His long involvement in sport began with him working at Vista University (Mamelodi campus), then moved to Vista University (central campus). He then moved to UWC (University of the Western Cape), working there for 9 and a half years. He after he moved to TUT (Tshwane University of Technology) and worked there for 2 years. He is currently working at Stellenbosch University going for his 4th year. He said that sport at Stellenbosch is an important and integral part of its history and sport can make a significant contribution to the holistic student development. His other milestones includeworking at the 2010 FIFA World Cup Organising Committee and his role was Team Liaison Officer for the German National team which meant that he was responsible for the team for duration of their stay in South Africa. He’s also been an Assistant Coach for the first South African Women Football National team that qualified for the Olympics in 2012. He served for 3 years and we introduced the element of Sports Science training infootball of which the result of which can be seen now in their spectacular improvement. 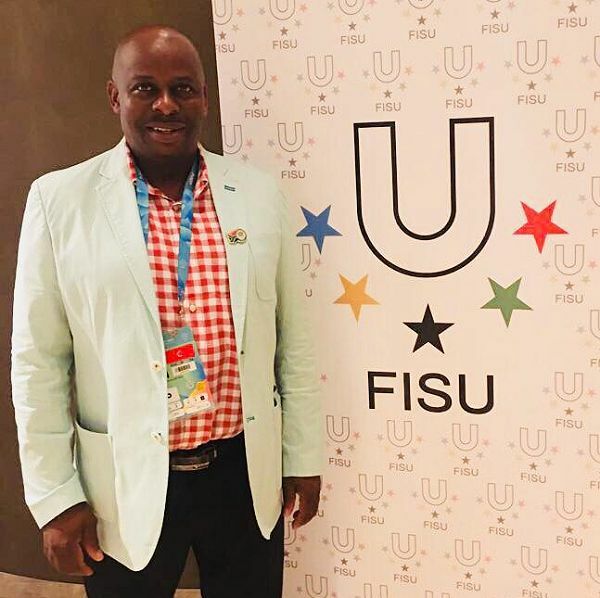 Mr. Laka has been Head of the USSA team delegation at the Taipei 2017 Summer Universiade. 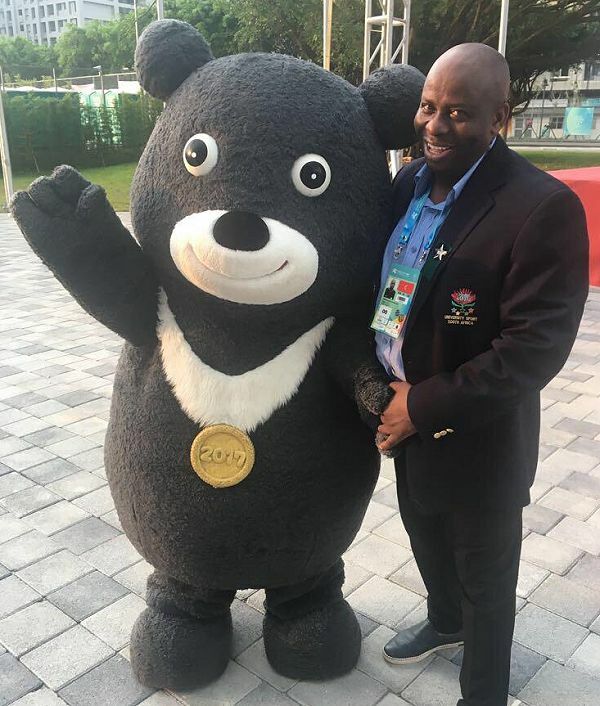 He was also Deputy Head of the USSA Team at the Zimbabwe CUCSA Games and Deputy Head of Delegation at the 2011 Summer Universiade in China. He was the coach of the first USSA football team that reached the semi-finals at the Russia 2013 Summer Universiade. USSA wishes him success in his role as Secretary General. Under his leadership we are certain that South Africa and CUSCA member countries will enter the next level of university sport development. Posted by Vusi Zwane (USSA Communications Officer) on 19 Mar, 2019.